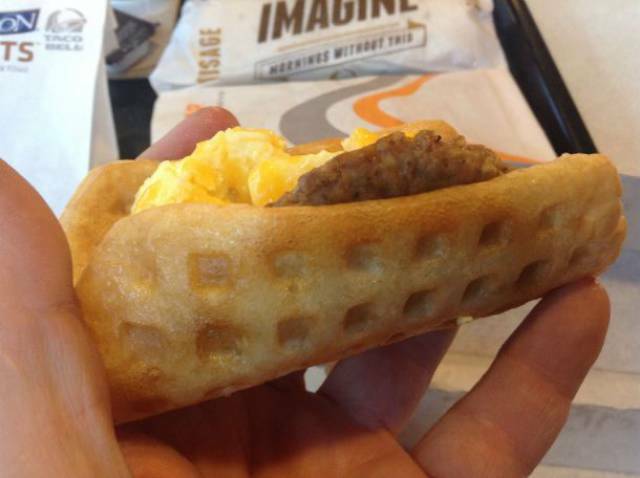 Taco Bell has really crossed the line with its waffle breakfast taco. They must be breaking some sort of culinary rule…but some rules were meant to be broken. As if being marinated in cheese isn’t enough, KFC then fries the chicken in cheese as well. You’ll have to go to the Philippines to enjoy this one, though! 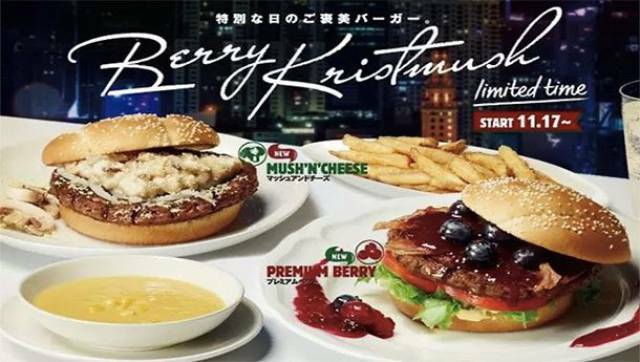 Found at your nearest Japanese Burger King, this meaty wonder comes with…blueberries??? In India, Domino’s serves its customers an intriguing meal consisting of a bean patty between two triangular pieces of pizza dough. So it’s kind of like a pizza sandwich. 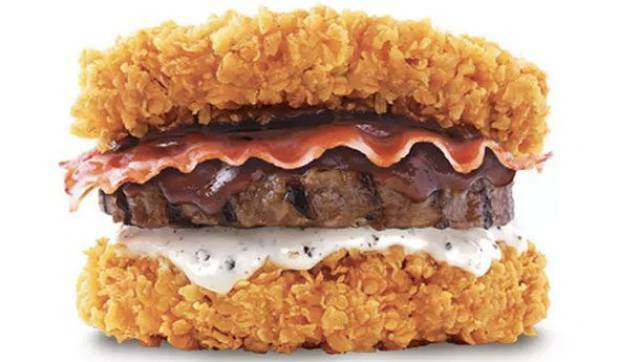 KFC went really off the rails in South Korea with their meat patty stuck between two fried chicken patties. Seriously though, just let that sink in for a minute. Who would ever think of stuffing a pizza crust with sausage rolls? Pizza Hut, that’s who! Well, at least in Luxembourg. 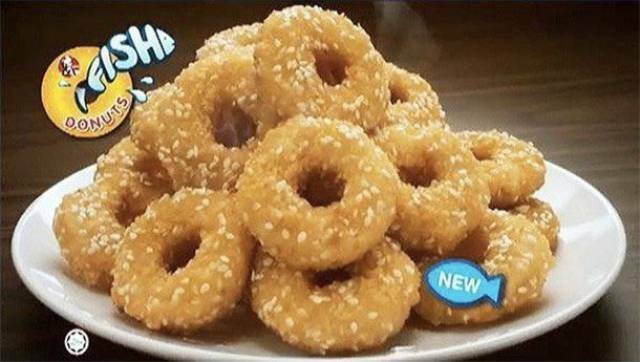 Tim Horton’s served up a big pile of “What!?! 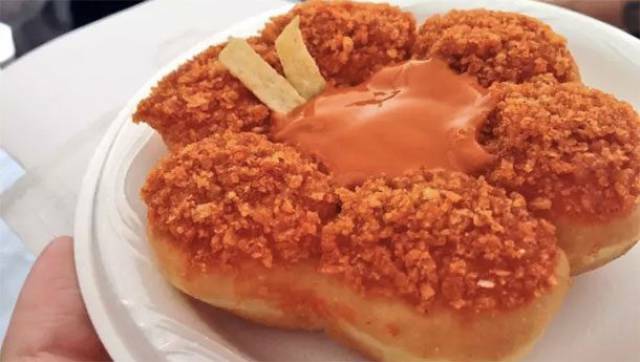 ?” at the New York State Fair with these doughnuts dunked in buffalo sauce. Sweet and savory never looked more tasty. 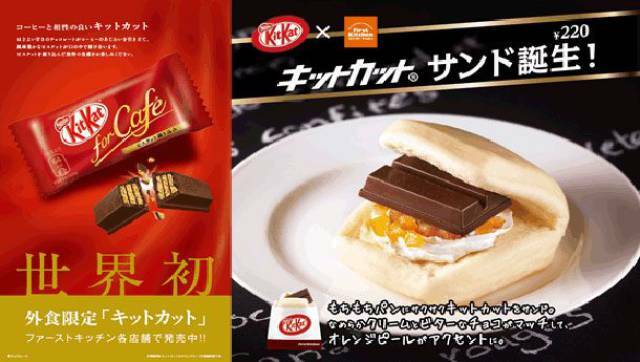 The Japanese fast food chain First Kitchen offers Kit-Kat bars sandwiched between…two slices of white bread? 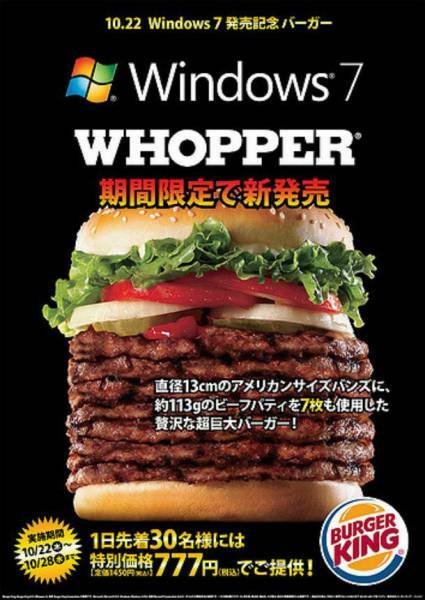 To celebrate the launch of Windows 7 back in 2009, Burger King offered this 7 patty eye-popper in Japan. 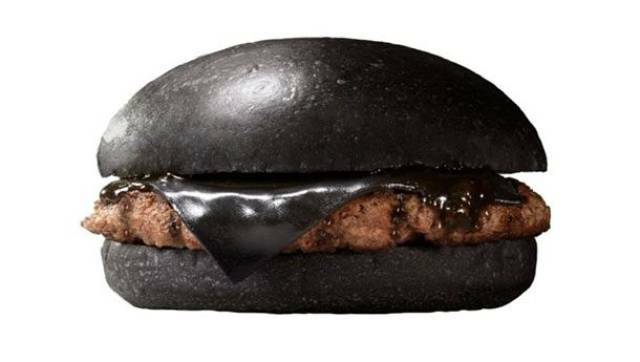 Burger King Japan offers this meat patty between two black buns along with black cheese dyed with bamboo charcoal. As a bonus, you’ll find squid ink in the onion-garlic sauce. 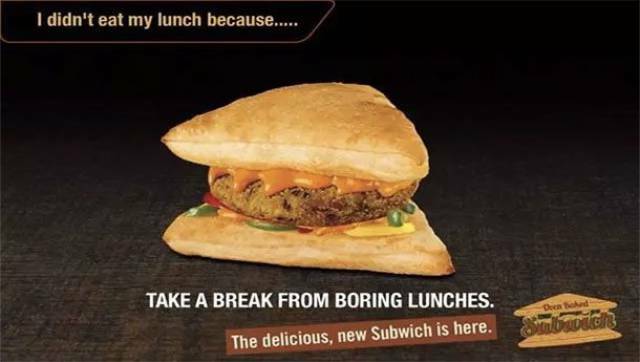 Remember the Double Down King? 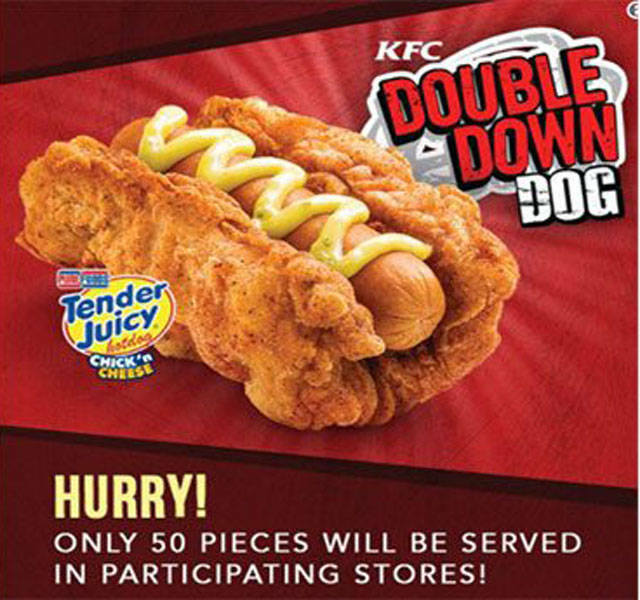 Well KFC continues the madness with this hot dog surrounded by crispy chicken! Wendy’s Japan offers a meaty burger topped with goose liver and truffles. Yum? 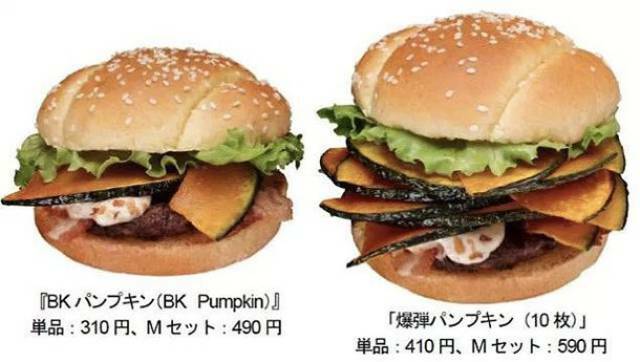 In Japanese Burger Kings, you can find this interesting seasonal sandwich. It comes with bacon, nut sauce, and a generous stuffing of pumpkin slices! 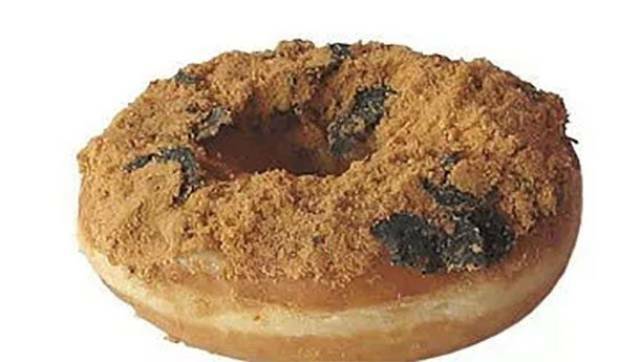 How did Dunkin’ Donuts ever think this would be a good idea? 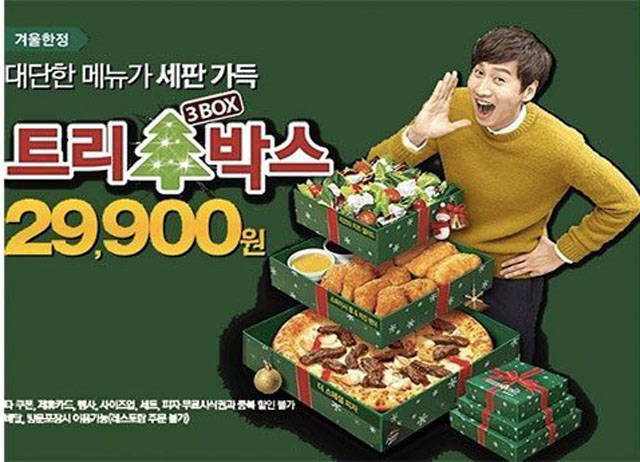 In South Korea, you can celebrate the holidays with Pizza Hut by spending your hard earned cash on this fast food “Christmas tree.” That guy looks waaayyyy too excited. 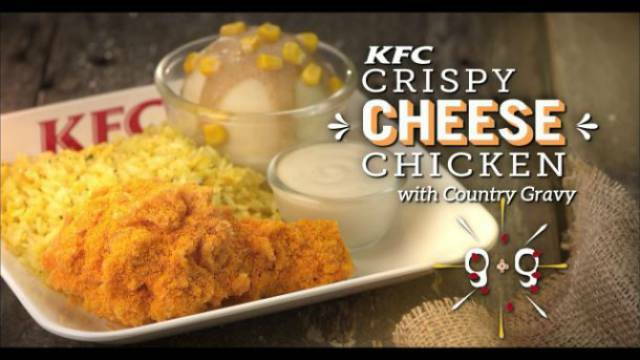 If you’re ever in Singapore, pop into your neighborhood KFC to try this interesting concoction. And please, let us know how it tastes, because if it’s good…well, we’ll take your word for it. 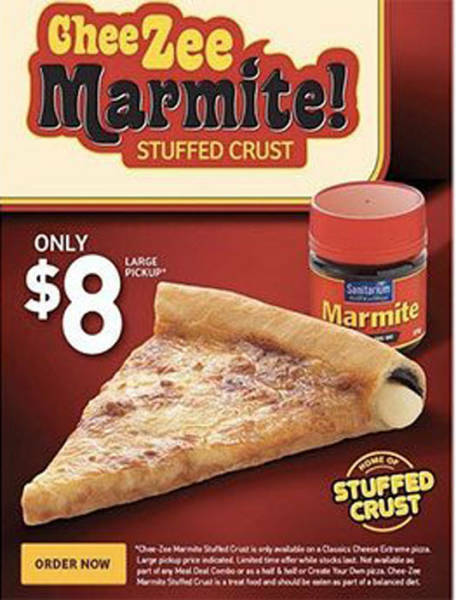 When it comes to bad ideas, there are few things that can top hiding marmite inside of a pizza. Why must you be so cruel, New Zealand!? While it’s not fast food in the traditional sense, it certainly makes the cut in the practical sense. 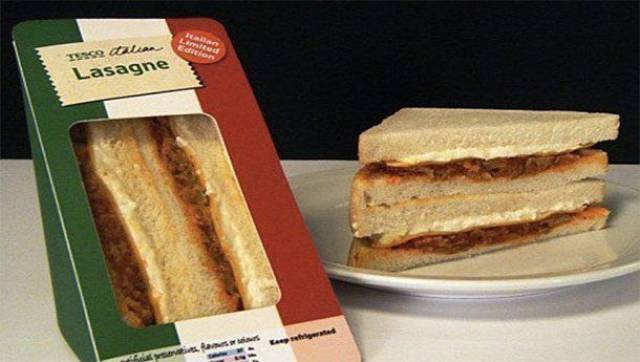 Speaking of making the cut, Tesco caused nearly every Italian’s head to implode with this culinary atrocity. But hey, we’re not Italian so…are you gonna finish that sandwich? 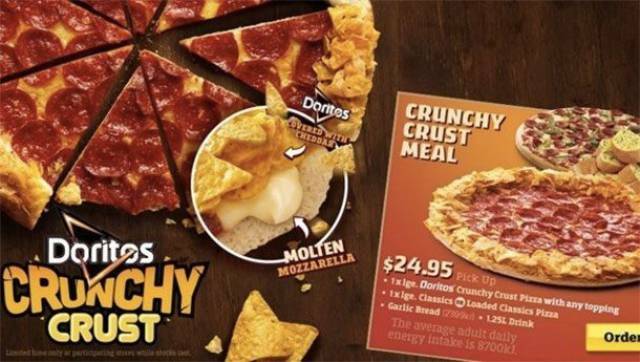 Next time you’re in Australia, hop over to Pizza Hut where you can enjoy two of your favorite junk foods simultaneously. And don’t worry, you’ll easily burn those calories avoiding all of the deadly Australian wildlife. 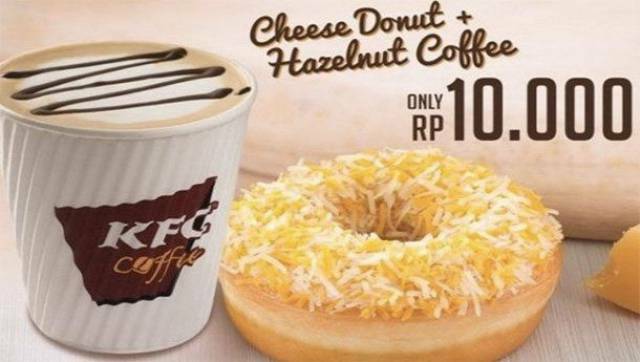 Cheese on a donut? Doesn’t this violate some sort of internationally accepted standard? Just in case you wanted to guarantee a negative burger experience, almost any McDonald’s in Asia has you covered. 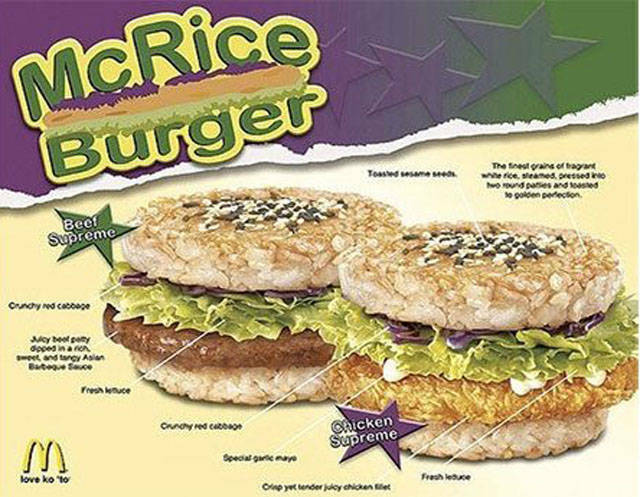 Instead of a bun, you can opt for a rice patty. It’s probably a bit healthier though. 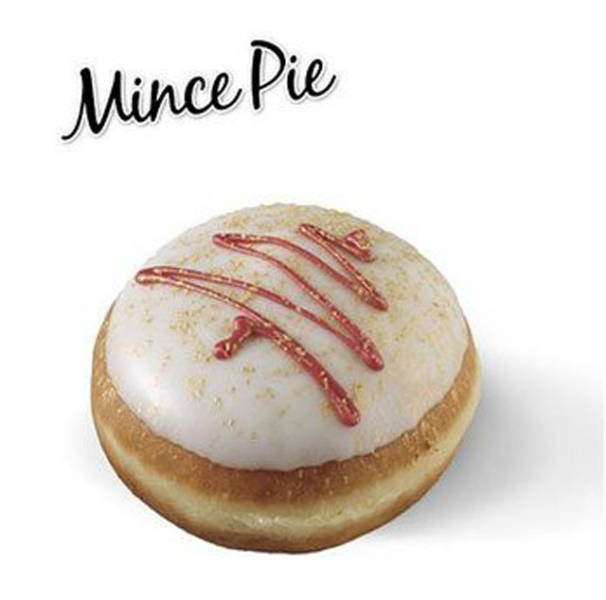 Who on Earth would stuff minced meat in a donut? Somebody really needs to inform Krispy Kreme, UK that torture is illegal. 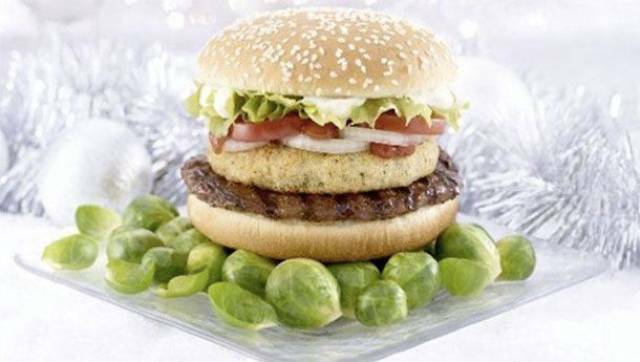 Burger King, UK has successfully created every child’s nightmare with this otherwise normal hamburger that includes a brussel sprout patty. Just in case you were looking for something to ruin your morning, Starbucks, Hong Kong is on it. 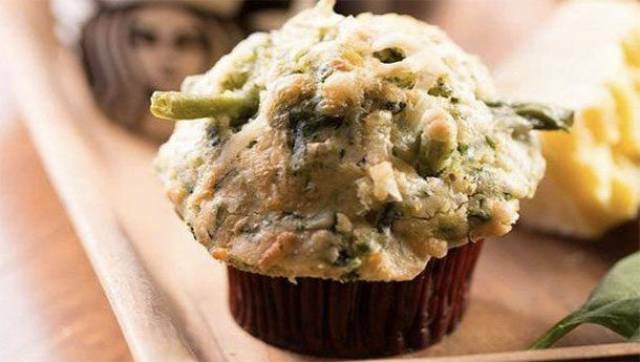 And if the spinach muffin isn’t bad enough, it’s also stuffed with broccoli, cheese, and green beans. 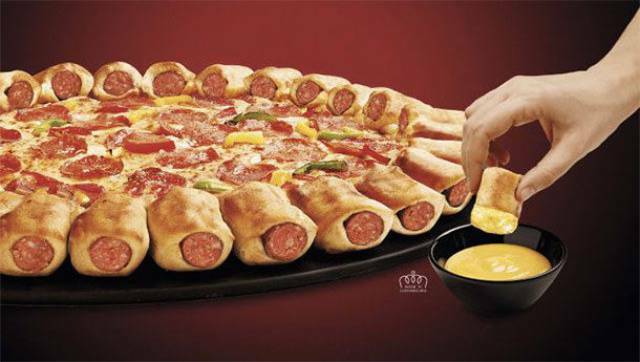 Of all the fast food items on our list, this one has to be the most mind-boggling. 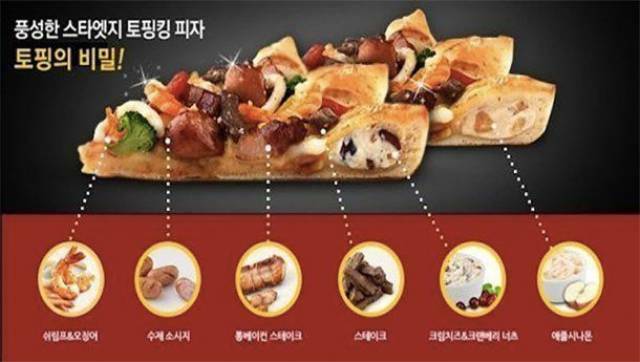 And if berry cream cheese stuffing doesn’t cut it, your Pizza Hut, Korea will let you try apple flavor as well.